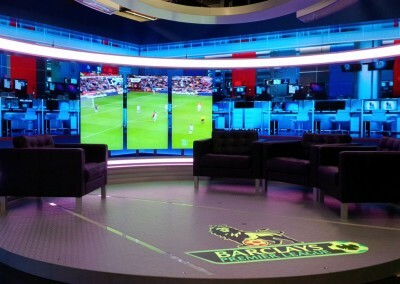 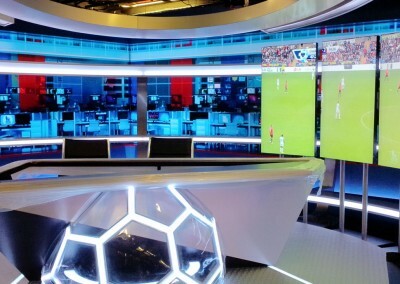 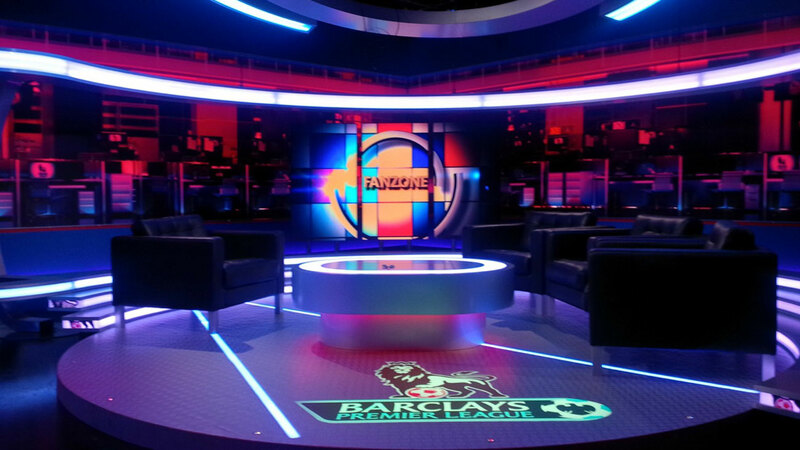 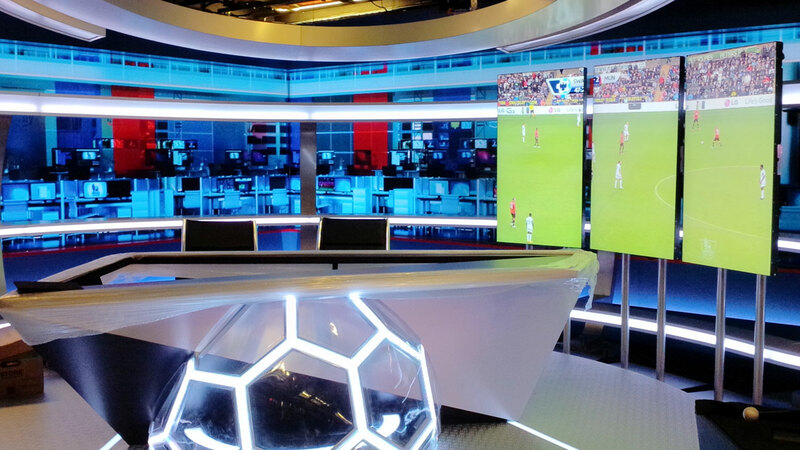 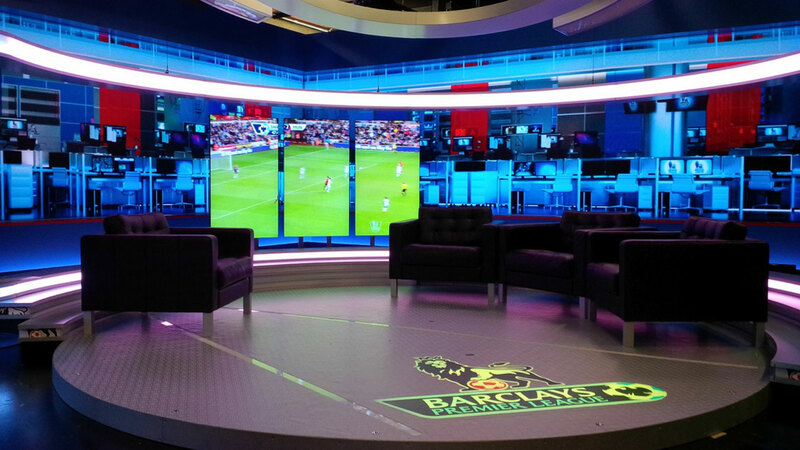 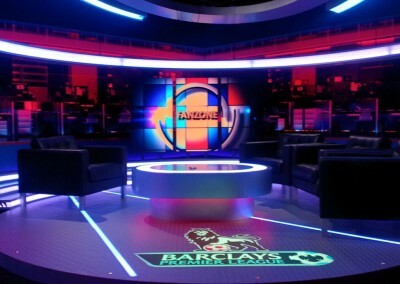 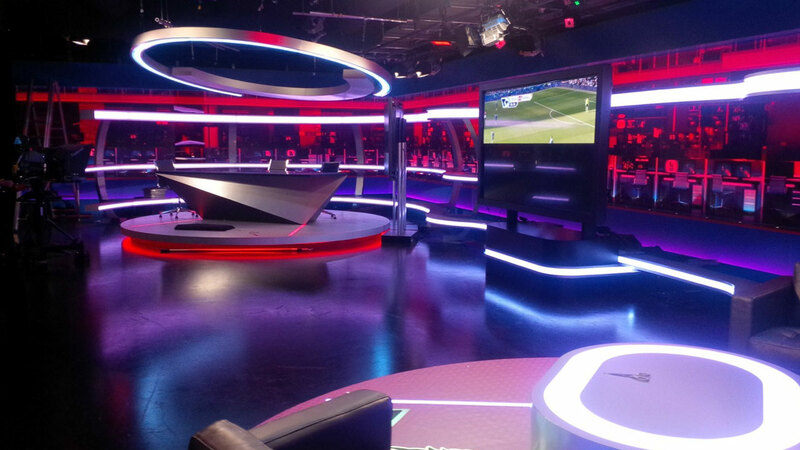 ECD are delighted to have completed the latest design and re-installation for the new Premier League/IMG Television Studios in London. 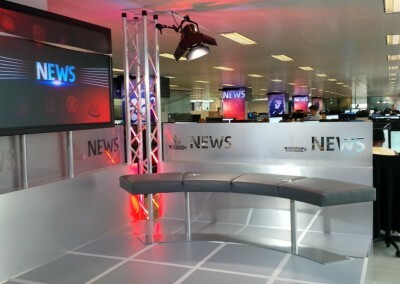 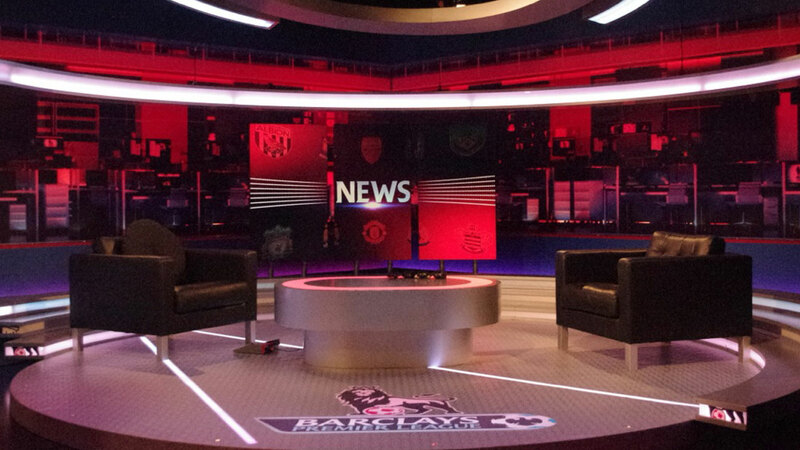 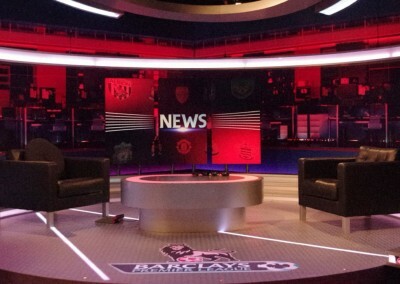 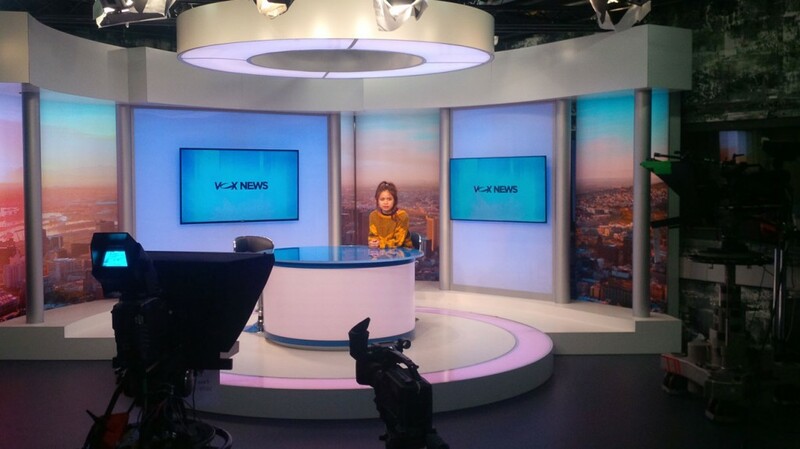 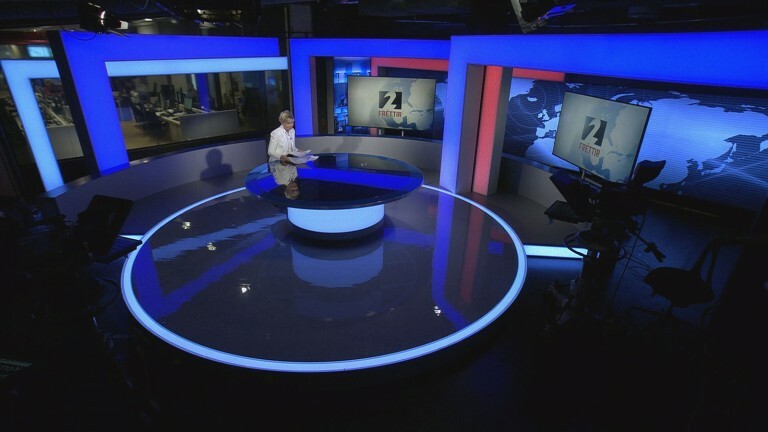 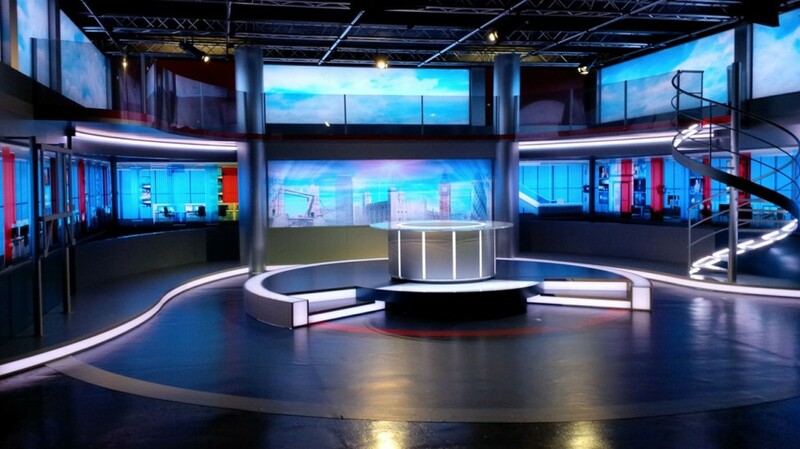 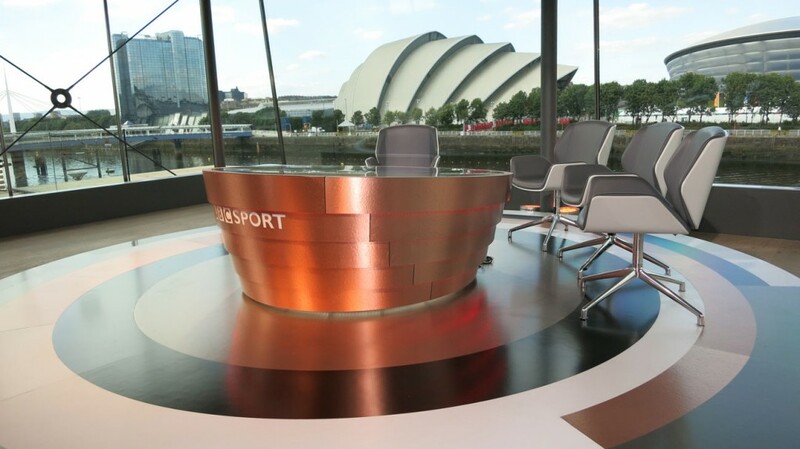 The client requested the set we created last year we would re-site, re configure and design/build the fully functioning composite sports and news presentation set to be used for the main feature games, together with a variety of other strand programming. 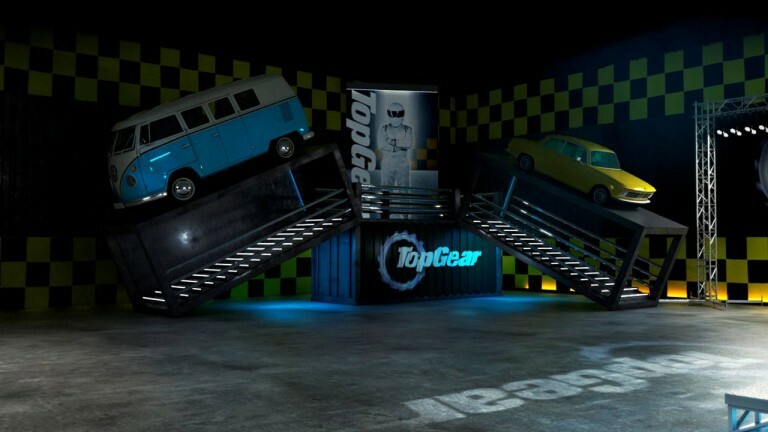 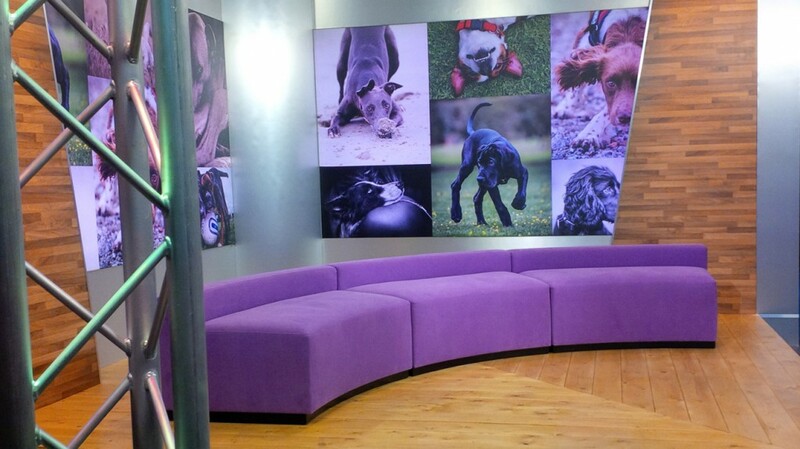 Various camera positions set changes and guests need to be introduced throughout the production day, this would need to be completed with little physical set alteration between shows. 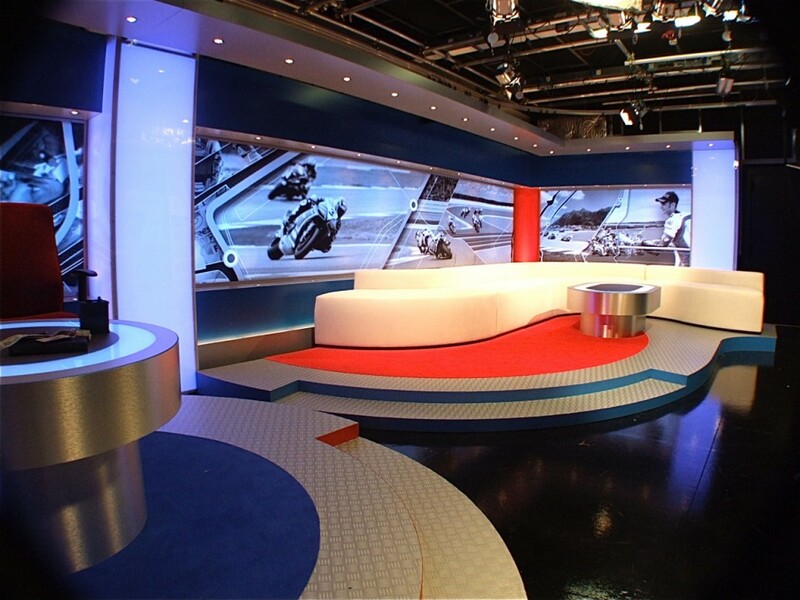 We were then requested to design three separate areas not within the studio but within the new IMG HQ. 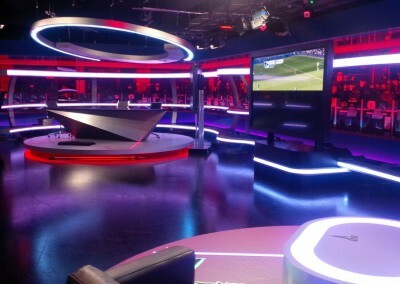 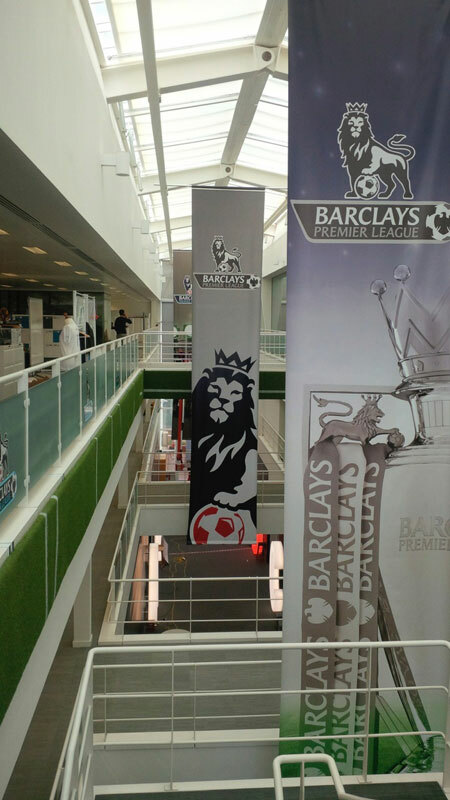 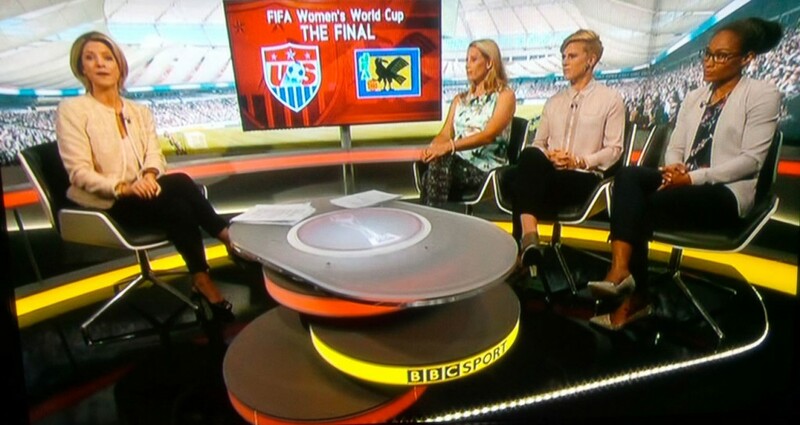 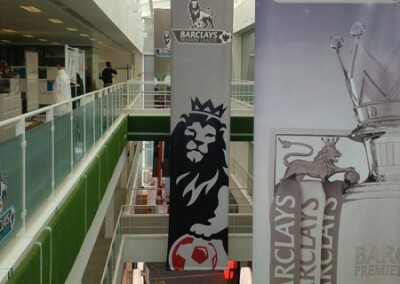 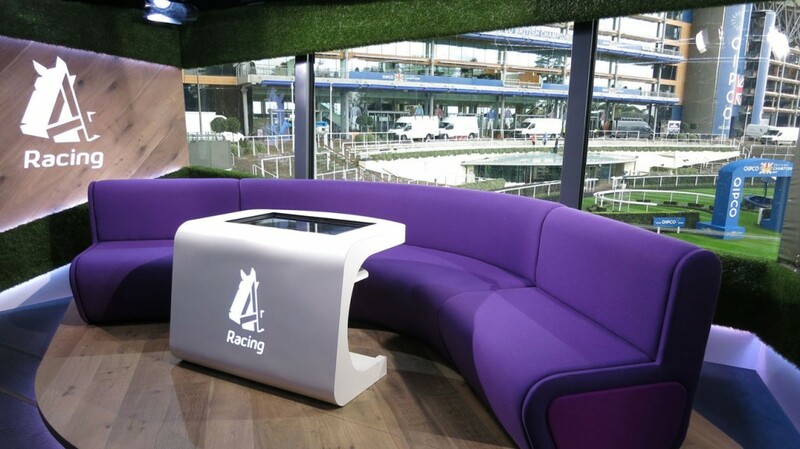 These new set areas are of various scale within the atrium and main IMG office areas and need to function at various times throughout the Premier League time table. 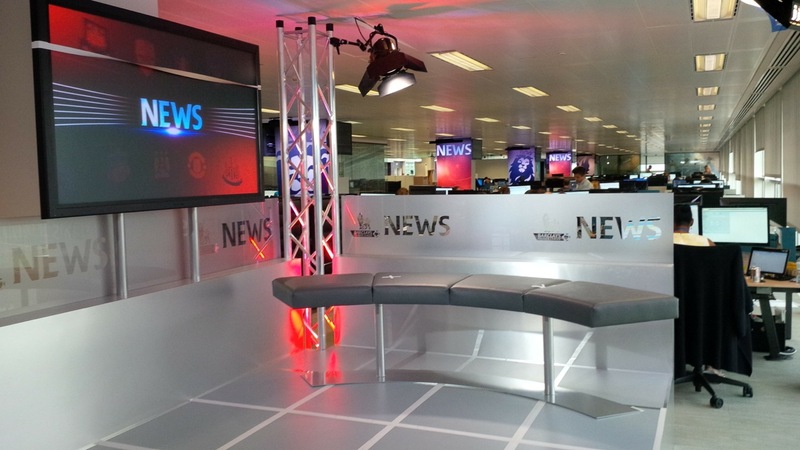 The set has been fully re-configured and supplied with the latest technology to create a fully functioning set backing and floor lighting system. 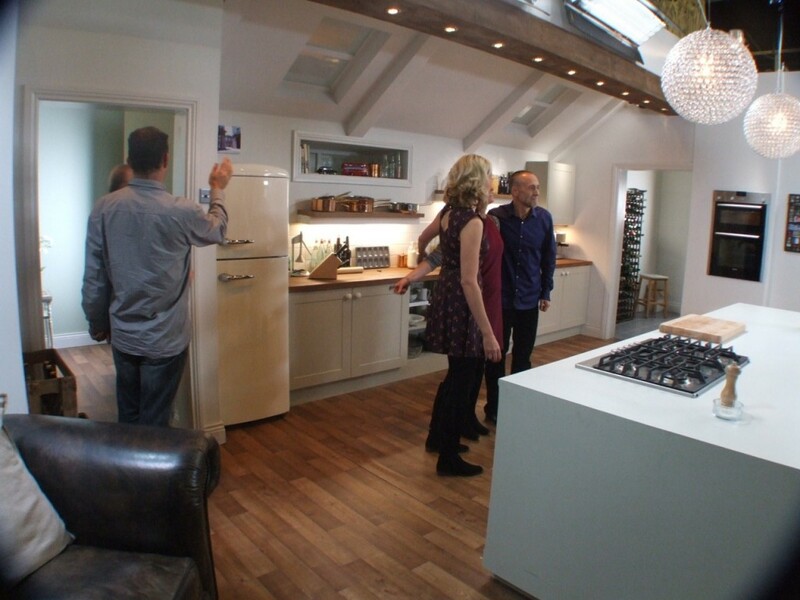 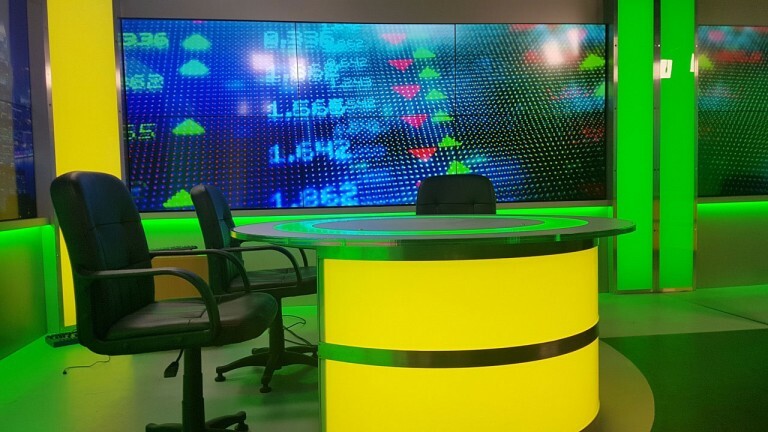 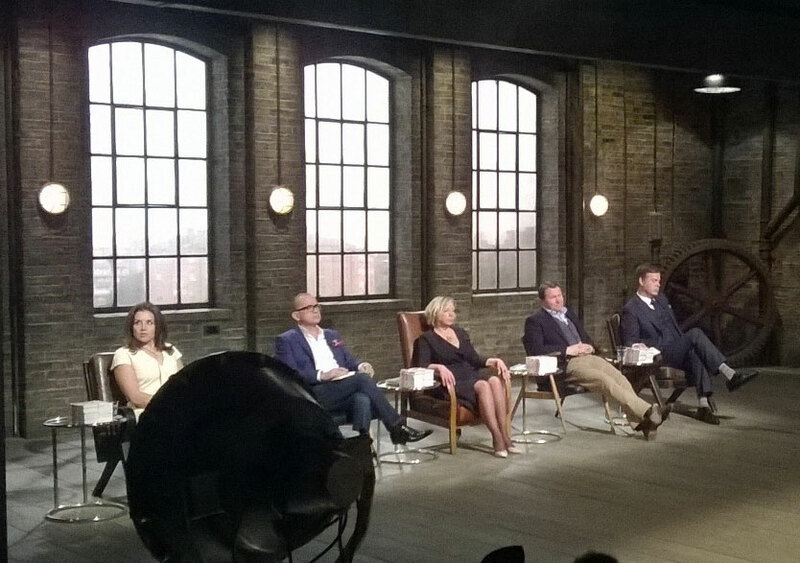 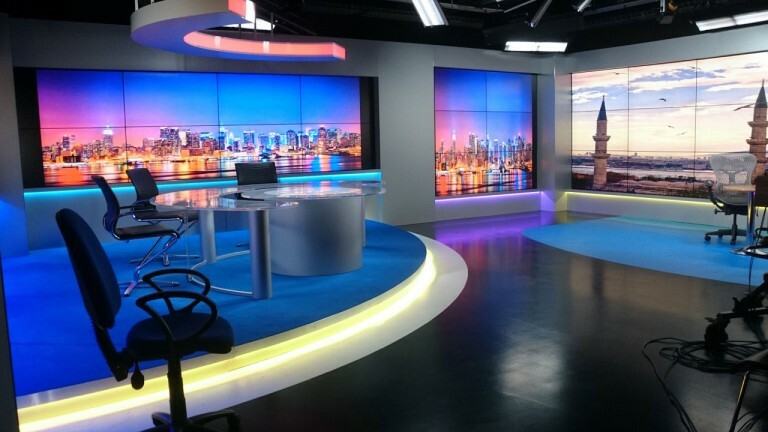 Both the studio lighting and the set lighting elements are DMX controlled. 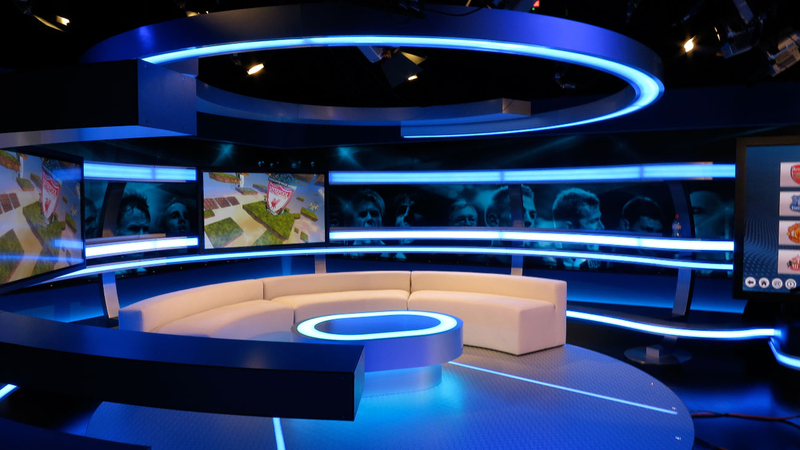 This allows the client full flexibility of the lighting control system for all the required production strands with the ability to adapt all colours and levels at the touch of a button. 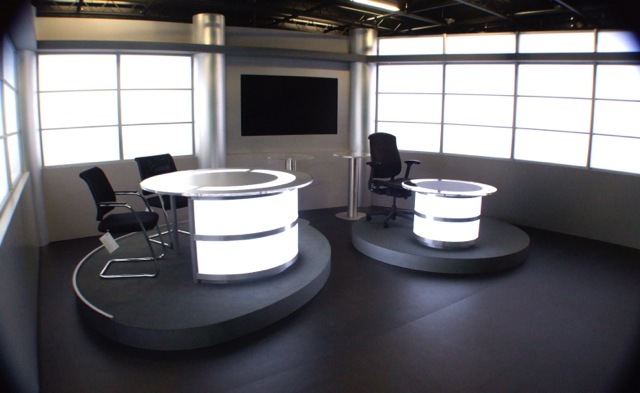 The outer ancillary areas have been designed to create three new functioning presentation areas. Firstly the canteen area with simple graphic panel blinds positioned as and when required. 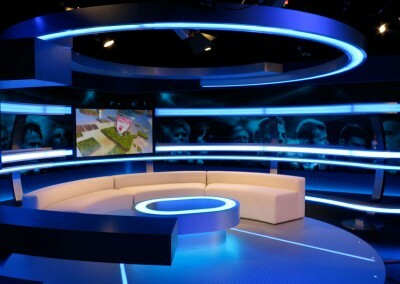 Second is the new presentation news area positioned carefully within the main Premier League production office with new graphic panels and lighting allowing multi layer shot options and interviews positions. 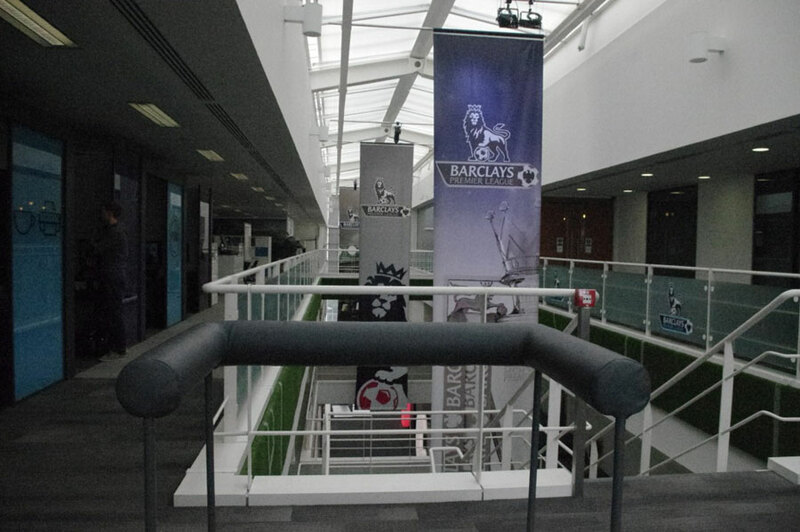 Finally Three is the main atrium that allowed us to create very large panel banner graphics, on glass facia graphics and grass section elements suspended onto the atrium walls.